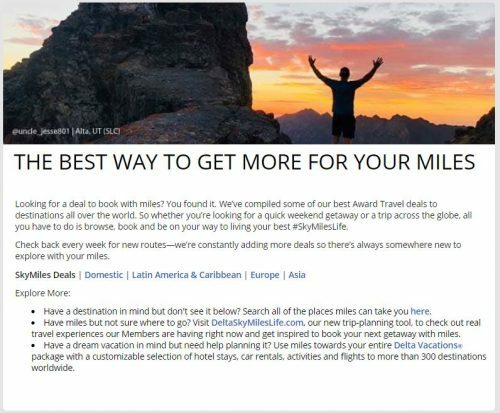 All jokes aside, I’ve already aired my theory that Delta “SkyMiles Deals” or “Flash Sales” are not really deals or sales but rather their newish business model. Why? Because these “sales” often stay live beyond their expiration dates, and Delta rarely advertises the best deals, which, in my opinion, makes no sense when you run a “legitimate” sale. Imagine coming to a store touting a $100 special only to find out that the advertised item costs $50. Yes, sure you will be thrilled, but how does it make sense to the store? As a store owner, wouldn’t they want to dangle the best possible deal in front of your face? Of course, you can counter that there are all kinds of sales, including “secret” sales and “reverse psychology” sales and “it’s a great price because we told you so” sales, but that’s not what Delta is doing either. More often than not, they advertise either mediocre or laughably bad deals on their front page, while hiding real bargains buried inside their award search engine. 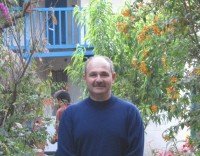 Detroit to Munich for 66,000 miles in Economy? That’s your deal? Wow, what a door-buster! This latest award flash sale couldn’t be a better illustration. Here is the gist. 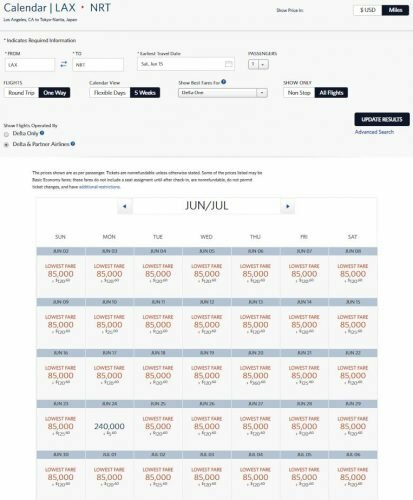 The Latin America and Caribbean sale is supposed to start at 28,000 miles. Computer says no! 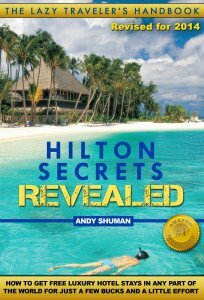 Not only is the redemption to Punta Cana almost 30% cheaper, but the round trip and Saturday stay stated in the T&C aren’t even required! But maybe it’s only cheaper for one-way travel, and the round trip will square things off at the advertised 28,000 miles? Nope! In my last Delta writeup, Frequent Miler rightly pointed out that the cheapest prices applied to Basic Economy rather than Main cabin. Not this time though. To be honest, I find prices for all cabins reasonably appealing for a 4+ hour flight. Let’s move across the Atlantic. The Europe sale is supposed to start at 32,000 miles, right? Well, not really! But this is nothing compared to Delta’s Business Class to Asia sale. The results I’ve come to in a course of my “investigation” are beyond weird. Really! 200,000 per round trip, huh? Let’s take a look. What do we see? Incredible award space to Tokyo: 15% less than advertised! 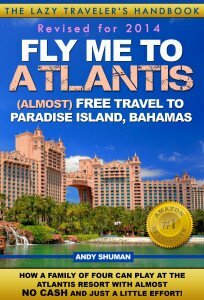 You don’t have to book a round trip flight. Your minimum price will be 15% cheaper than advertised. The sale is valid outside the advertised dates; it’s supposed to start on June 15, but in fact the whole month of June is available. But let’s dig in and choose a date. 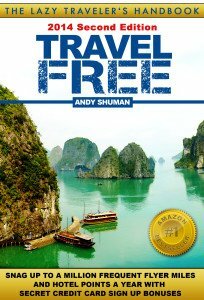 This date wouldn’t be any different from many others, because availability on this itinerary is quite good. Delta adds a $120 fuel surcharge to its partner’s flight on China Southern. It’s not too bad and much better than the ~$180 you’d pay on another Delta partner, China Eastern, but then you might notice the other search result — 90,000 miles for a nonstop on Delta and no fuel surcharge. The 90,000-mile award on Delta metal is a much better choice, IMHO. 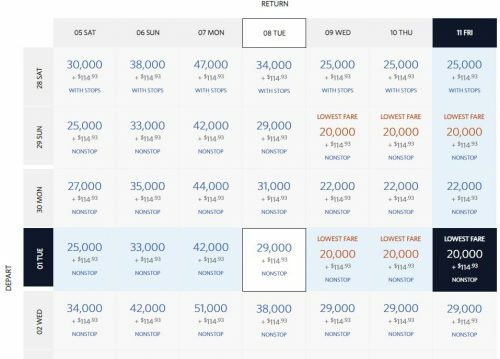 You’d pay 5,000 more miles, but you’d save $120 and fly nonstop, and it would still be 10% less than the advertised 200,000-mile “sale” (divided by 2, obviously). And I left the best for the last. Whenever you see the words New Flagship it means Delta One Suites. 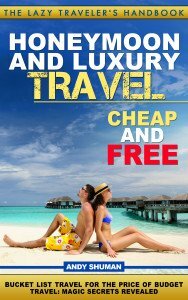 Your extra 5,000 miles will buy you exactly that! 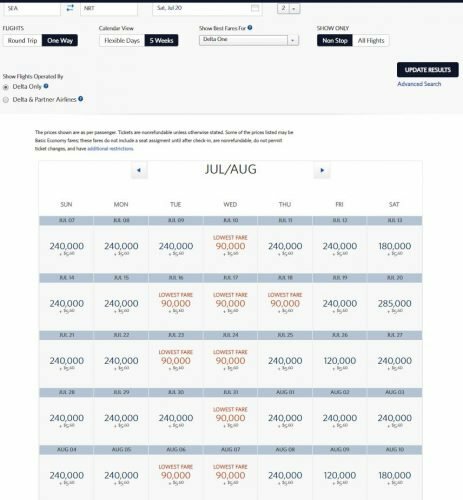 Want to ride Delta SkyMiles Deals in a Delta One Suite? Nothing Easier! 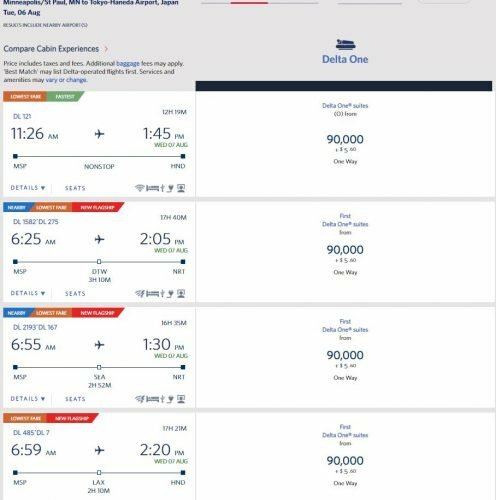 It appears that Delta prices its own flights 5,000 miles higher than partners’, but even so, these flights will cost you only 90,000 miles one way, 10% cheaper than the advertised sale. 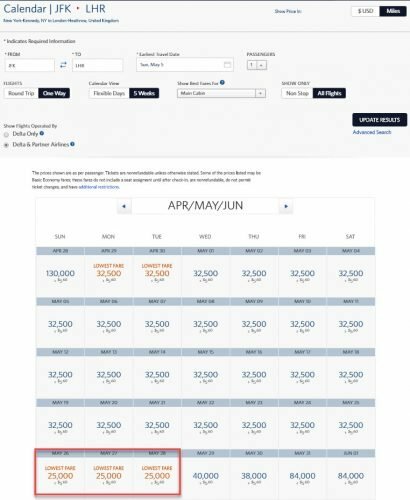 Better yet, it’s entirely possible to get a Delta One Suite to Asia for the same 90,000 miles, as long as you’re flexible and don’t mind a connecting flight. Delta has delayed deploying its retrofitted 777 between Minneapolis (MSP) and Tokyo Haneda, but it doesn’t mean you can’t fly in a Delta One suite from MSP. You’ll just have to make a choice between the time (nonstop) and luxury (or should we say, more luxury). And you might even have a choice in connections. New York is also in the picture. Of course, if you live in a hub where the new Flagship A350s are already deployed, you might not need a connection. Here is what I believe to be a complete list of current routes with Delta One suites to Asia. Do let me know if I’ve missed something. Delta One Suites availability between Seattle and Tokyo for 2 people in the heat of summer. Hope you’ve enjoyed how I tongue-in-cheeked Winston Churchill, but we have a more serious matter at hand: you shouldn’t take seriously anything Delta tells you. For whatever reason, Delta sales are usually better than what they would have you believe. It’s not always the case, mind you, and it’s not true for all markets (sorry, Delta’s Atlanta prisoners), but if you look hard enough, you’ll often find it to be true. These Delta SkyMiles Deals offer a couple of interesting values. The first is a round trip to Europe in Economy starting at 25,000 miles (I only found this rate for London, but I wasn’t looking long). 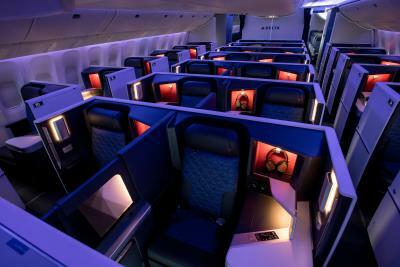 The second is a good award space on Delta One Suites to Asia for 90,000 miles one way. 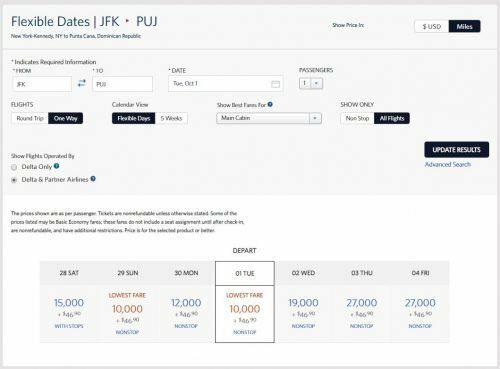 That latter deal is not a spectacular value, but … with Delta’s regular Business Class pricing, it kind of is.